Dr. Vera Rubin passed away on December 25 from natural causes at the age of 88. To astronomers, Dr. Rubin’s discovery substantiating the existence of dark matter fundamentally altered our view of the cosmos. To several brilliant young scientists and female astronomers, she is a role model. Even as anger remains that she was repeatedly ignored by the Nobel Committee, Rubin achieved immortality through her work and life. What was Vera Rubin greatly esteemed for? Though those outside of the academic community may not have known her as a famous scientist, astronomers and those passionate about astronomy knew about and valued the significance of Rubin’s contribution to the evidence that dark matter existed. The idea that dark matter contributed significantly to the mass of a cluster of galaxies was introduced by Swiss astronomer Fritz Zwicky. 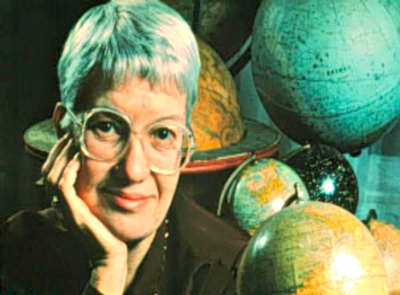 But the idea was ignored till Vera Rubin and her collaborators stepped on the scene in the 1970s. In the 60s and 70s, Rubin and astronomer Kent Ford were examining spiral galaxies when they made a stunning discovery – the galaxy Andromeda (M31) did not rotate like the solar system. Instead, the stars simply refused to slow down with increasing distance from the galaxy’s center. This behavior confounded Newton’s Laws of Motion. It was the numerous punch-card readouts of their extensive and detailed observations which were deeply analyzed by Rubin that provided the first concrete evidence for the existence of dark matter. Rubin said it took months to understand the meaning of the anomaly they had captured. On a sudden inspiration she realized the anomaly could be explained by the distributing effect of dark matter – the mass would spread throughout the galaxy, not be concentrated in the centre. Consequently, the gravitational force and orbital speed would be similar throughout. While pursuing her master’s in Cornell, she was one of the first to observe a departure from the Hubble flow in the motions of galaxies. She put forth the argument that galaxies might be rotating around unknown centers instead of merely moving outwards, as the Big Bang theory had held at that time. Her paper had a poor reception and she later admitted to not having enough data but the thesis gave French astronomer Gerard De Vaucouleurs “the incentive or courage” to report his work. In her PhD. Thesis, she concluded that galaxies existed in a clumped form, rather than being randomly strewn through the universe. The idea took two decades before it was considered seriously. Why are several from the scientific community angry at the Nobel Committee? While most are saddened that Vera Rubin will not be able to receive the Nobel, a prize she duly and unarguably deserved since long, there has also been at least one demand that she should get the Nobel Prize for Physics in 2017. As if the colossal gender gap found for Nobel Prize recipients – even greater in Physics where only two women won the Prize and the last woman received it 53 years ago – those against a Nobel for Rubin argue that dark matter remains undiscovered. But this argument glaringly overlooks the three male recipients of the Nobel Prize in 2011 for the discovery of dark energy – an equally theoretical albeit equally important concept. A majority of the astronomers concur that Rubin’s evidence for dark matter is a fundamental cosmic discovery. University of Washington astronomer Emily Levesque told Astronomy.com that “the existence of dark matter has utterly revolutionized our concept of the universe and our entire field; the ongoing effort to understand the role of dark matter has basically spawned entire subfields within astrophysics and particle physics at this point. Alfred Nobel’s will describes the physics prize as recognizing ‘the most important discovery’ within the field of physics. If dark matter doesn’t fit that description, I don’t know what does”. Note: Nobel Prizes are currently not awarded posthumously. So the real chances of Rubin getting a Nobel after her death are bleak. When did her fascination with celestial objects begin? Rubin moved from Philadelphia to Washington DC when she was ten. It was through her bedroom windows that she first found her fascination for the stars. She would describe the experience later on in an interview – “What fascinated me was that if I opened my eyes during the night, they had all rotated around the pole. And I found that inconceivable. I just was captured”. She began observing and mapping meteor showers. She chose topics related to astronomy for her English essays and used every avenue each subject offered to tap into the mysteries of the universe. She built a telescope with the help of her father, an electrical engineer. He also contributed to her interest by taking her to discussions held among amateur astronomers. Where did she confront sexism? After graduation, she tried to get a PhD. From Princeton but was rebuffed because the University’s astrophysics graduate program did not take in women at that time. She chose Cornell to pursue her master’s. A male department chairman at Cornell told Rubin who was nine months pregnant that he would present her master’s thesis work at a meeting of the American Astronomical Society in 1951 in his name. Rubin promptly responded, “Oh, I can go”. And her parents took her by car through a snowstorm with her one-month old.All comments except one were greatly discouraging at best. Yet another time, she was excited to be called for a meeting with famous astrophysicist George Gamow, only to be told that they would have to hold their conversation in the lobby because women were not permitted in offices. Sandra Faber, a staff astronomer at the University of California, Santa Cruz, said Dr. Rubin had to struggle and fight hard before becoming the first woman permitted to access a 200-inch telescope on Palomar Mountain in California jointly owned by Carnegie and Caltech. When she eventually arrived, she learnt there was no restroom for women. According to her friend, Dr. Rubin cut out a skirt from cardboard paper and taped it to a man’s image on the restroom door, making it a ladies’ room. Being the second female astronomer to be elected to the National Academy of Sciences. The second woman recipient of the Gold Medal of the Royal Astronomical Society, after Caroline Herschel in 1828. She has several honorary D.Sc. Degrees including doctorates from Creighton University, American University, Ohio Wesleyan University, Princeton University, Harvard and Yale. The asteroid 5726 Rubin got its name after her. For whom is she a role model? Apart from her trailblazing achievements, she was a great inspiration for women and young scientists. She herself was greatly inspired by Maria Mitchell, the first professional American female astronomer. She was determined that women should be recognized more in science.She championed for including more women on academic searches, review panels, and in the National Academy of Sciences. She would contact organizers to question them about the lack of diversity among speakers and advocated for women to be included in the Washington’s Cosmos Club. In an interview she said the problem of women entering science was due to the way parents raised their little daughters. "Rather than teaching little girls physics, you have to teach them that they can learn anything they want to," Rubin said. Dr Faber wrote, “Rubin’s happy family history raising four children, all of whom eventually earned their own Ph.D.’s, was particularly inspiring to young females.” She had one daughter who was also an astronomer. I live and work with three basic assumptions. There is no problem in science that can be solved by a man that cannot be solved by a woman. Worldwide, half of all brains are in women. We all need permission to do science, but, for reasons that are deeply ingrained in history, this permission is more often given to men than to women. How did Rubin champion the spirit of scientific inquiry? She always maintained that real scientific progress resulted from observations that forced scientists to alter their theories. While her colleagues continually expressed their disappointment that she had not won the Nobel, she was cool about it. She said, “Fame is fleeting. My numbers mean more to me than my name. If astronomers are still using my data years from now, that’s my greatest compliment.” She lives on through her work and as a beacon of inspiration. She also stressed on the importance of being led by political leaders with a scientific background. Science is competitive, aggressive, demanding. It is also imaginative, inspiring, uplifting. – Vera Rubin.